Becoming Aware, my new book about my life and my work as host of the syndicated radio program, The Aware Show, shines a light on the power of positive words to create a future you’ll love. Everything that comes out of your mouth should be positive, so be sure to focus on something you want to bring into your world. You shouldn’t say something you don’t want, such as, “I hope I’m not one of the 10 people out of 100 that they lay off today,” or “I’ll be stuck in this little cubicle for the rest of my life.” This is an easy way to live if you’re aware: If you don’t want it, then don’t say it. Your words are strongly connected to your destiny. Speaking in terms of negativity is a bad habit that needs to be broken, like smoking. As adults, we can consciously treat what we don’t want like weeds and pluck them from our language. Instead of telling your friend, “I just know that Timmy is going to be that one kid they hold back,” it’s crucial to focus on the positive and say, “Timmy is trying really hard in school, and I’m so encouraged by his newfound love of reading.” Instead of drowning in all the negative thoughts and words, you have spoken the truth, but you have also placed positive energy around your life and events. This is especially important if you’re speaking in front of that child. One example that stands out in my mind was when my daughter and I were at a sushi bar, and a woman sat beside us with her son who was about nine years old. The mother proceeded to tell the waiter how this was the only place they could eat because her son was allergic to wheat, and the rest of the family was eating at another restaurant down the street. I watched as the boy’s shoulders dropped and he sank down in his chair. Unknowingly, the mom was making her son feel wrong for having a food allergy, blaming him for something that wasn’t his fault. Instead of saying that something is “hard,” reframe it by saying it is something you’re working on overcoming. Why do we say what we don’t want in life? I’ve learned that most negative mental programming is in fact self-hypnosis. You immediately leap to the worst-case outcome because you’ve almost hypnotized yourself to go there. It’s the same thing when you sit down at the kitchen table late at night when no one is looking and eat half a chocolate cake. You’re sitting there shoveling it in because you’re in a total state of hypnosis and just repeating a bad pattern. 1. Take a walk in nature. 2. Look at something visually stimulating, like inspiring art. 3. Listen to peaceful music. Incidentally, it only takes 20 minutes or less of meditative music to get you into a more blissful, peaceful state. Music also calms the rhythms of the heart. 4. Try Holosync, a technology created by Bill Harris. Holosync has been available for 25 years and revolves around listening with headphones to get your brain into a twilight state before sleep, as it brings you into a deeply relaxed, coherent state. This also increases your tolerance of pain. It’s just one of many great sound technology healings that anyone can explore. 5. Try Chinese healing music, which is not only beautiful, but there are certain tones to those strings that induce a meditative state as well. Download the music onto your phone so that it’s readily available when you need to detox from negative speak or thoughts. When we repeat negative patterns, we’re often in a state of self-hypnosis where we’re just continuing those patterns instead of being conscious of what we truly want. Experts believe that 90 percent of what we do is this type of unconscious thinking. To correct it, all you need to do is turn it around and get conscious about your actions. Really, you’re going to eat half a cake? Put the fork down and stop. For five minutes, consciously be aware of what you’re doing. I’m sure you will walk away from the bad habit, which is the first step in breaking it. 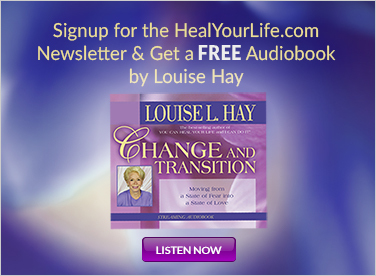 To learn more about recreating patterns in your brain, see my book, Becoming Aware. 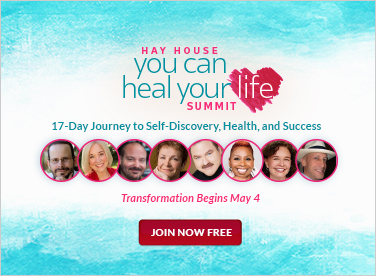 You can also connect with me on my weekly Hay House Radio show, Tuesdays at 12 PM PST called Being Aware.